With WinGPS you can create a full navigational centre. The software is designed to customize as you please. Will you use a tablet or laptop? Will you need to be able to read your screen outside or will you be using WinGPS inside? And, when installing additional hardware, will you do this wireless or are you stuck using wires? When determining your position, speed and course you will need to use a GPS receiver. Most people will choose an affordable USB GPS Receiver but you could also choose a bluetooth or onboard receiver. Onboard GPS receivers are usually attached using a USB-to-serial cable. See and be seen with the newest generation of AIS transponders. With the internal splitter you are able to connect the current VHF antenna without having to install a second antenna. If you have a polyester or wooden ship you can choose to use an AIS transponder with internal GPS. If you only want to receive AIS information without sending your own position, we also have multiple AIS receivers available. If you only want to receive AIS signals we have a selection of different AIS receivers available. AIS transponders have several options available to them; Receiver/Transmitter, VHF splitter, Internal wifi, GPS receiver etc. To make it easy for our customers, we have compiled a handy questionnaire from which the most appropriate version is offered in response to your answers. Connect your laptop or onboard PC with an extra monitor for outside use. View and control WinGPS with a sunlight resistant touchscreen. Connect all of your board equipment to one device: the multiplexer. All data will be redirected from the multiplexer into WinGPS in one flow. The multiplexer can be connected using a serial or USB port, or wireless via bluetooth or wifi. 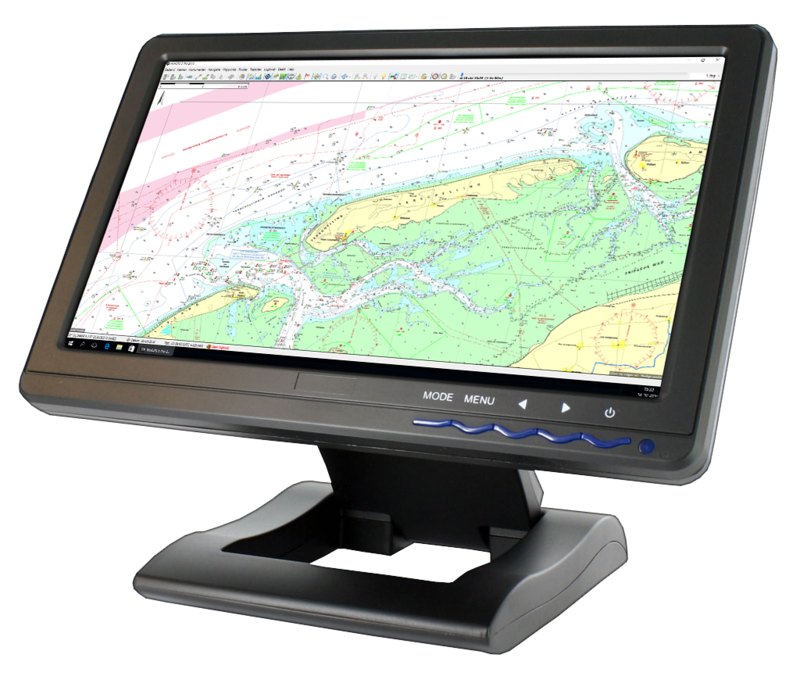 Ideal when using a tablet or smartphone with WinGPS Marine. In our online webshop you can find a lot more peripherals than stated above, for example compasses, weather stations, fishfinders, etc. To view our entire collection use the direct link via the button below.